Afrokaans Film & Television enters a new era! 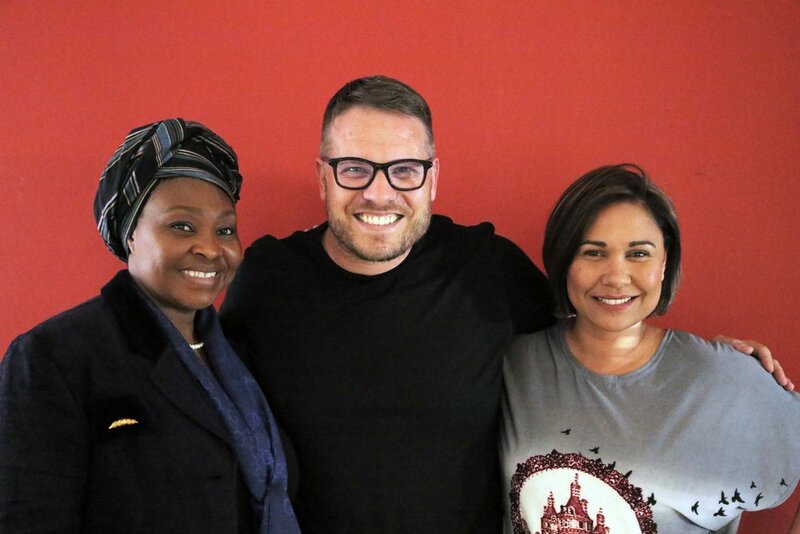 Afrokaans Film & Television is proud to announce a BEE partnership with The Princess of Africa YVONNE CHAKA CHAKA and producer, actor and entrepreneur KIM CLOETE. Launched almost twelve years ago, Afrokaans is well respected in the television industry as the production company behind such quality projects as “Power Couple” on M-Net, “Zavion”, “Die Kliek”, “Hartskos”, and “Inspirasiekos Met Sarie” for Via, and the long-running “V-News” on the Vuzu Channel. The Princess of Africa is one of the most beloved public figures on the African continent and global stage. Since making her debut in 1981 as the first black child to appear on South African television, Yvonne has cemented her megastar status. She has shared the stage with Bono, Angelique Kidjo, Annie Lennox, Youssou N'Dour, Queen, Johnny Clegg, Miriam Makeba, and Hugh Masekela, and has performed for many world leaders including HRM Queen Elizabeth, US President Bill Clinton and former South African President Thabo Mbeki. Off-stage Yvonne is a champion for the Global Fund to Fight AIDS, TB, and Malaria, the United Nations MDG Envoy for Africa, she is the Goodwill Ambassador for the Roll Back Malaria Partnership, and she was personally chosen by Nelson Mandela to be the first ambassador for his Children's Fund. Of course you don’t sustain a remarkable international career for a quarter-century without employing some sharp business skills. Yvonne has run her own record company, Chaka Chaka Music, since 1995, and in 2007 she established her own charitable organisation, the Princess of Africa Foundation, using the affectionate nickname first given to her in Uganda. In 2016 the Foundation released the documentary film “The Motherland Tour”, which Yvonne produced to chronicle her journeys throughout Africa as she met and documented the stories of some of Africa’s extraordinary women pioneering positive change and sustainable progress on issues like malaria and HIV. "Television is such a powerful disseminator of information and I am excited to embark on this journey of storytelling as a part of Afrokaans. Now is the time!," says Yvonne. KIM CLOETE is a passionate creative force, well known to South African audiences for her role on the popular soap “Isidingo” and her current role in "Binnelanders" on kykNET. She made her TV debut on the children’s programme “Craz-e”, which lead to presenting roles on “DKNT”, “Zing”, and “Ontbytsake” on Kyknet, and “Lunchbox”, “Pasella”, “Kollig” for the SABC. She is also an experienced TV, film, and stage actress, and her one-woman play on human trafficking at the 2012 Suidoosterfees, “Leeg”, garnered her a Kanna nomination for best actress. In 2016 she was commissioned to write and stage a production called “Ausi-ama” at Cape Town’s Castle of Good Hope, chronicling the rich 500-year history of the Castle and what it means to Capetonians and South Africans even to this day. Kim was a newsreader on the Breakfast Team at Good Hope FM and in 2014 was offered her own morning show on Heart 104.9fm called “Kimmistry”, which lives on today as a column in the women’s magazine, ‘Bella”. She has a heart for community healing and development, exemplified by resurrecting an old theatre in Walmer Estate called Garden Court Theatre, which quickly became a platform for many young aspiring artists. Kim returned to Johannesburg in 2016, where she relaunched her NGO “Dreamerschild”, which deals with protecting women and children from all forms of abuse as well as the growing issue of human trafficking. “It is a wonderful occasion to be named a member of a company whose culture is very close to how I see creative business operate in our country today,” she says. “I look forward to being a part of groundbreaking work with the force known as Afrokaans Film and Television."